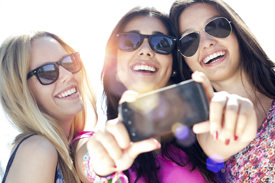 Are You Suffering From ‘Tech Neck'? Sure, smartphones, tablets, and computers are incredible inventions that allow us to communicate, perform work and just surf the Internet for fun. The downside to these devices, however, is that straining your neck forward to use such gadgets can wreak havoc on the neck. In addition to neck pain, you also may experience headaches along with shoulder pain. Did you know that the human head weighs 10-12 pounds? But at one inch of forward head posture associated primarily with using tech devices, the head doubles in weight. In the classic texting position, for example, the head weighs as much as 60 pounds. Imagine holding a bowling ball close to you and then with outstretched arms! According to Wolff’s Law, biologic systems such as hard and soft tissues become distorted in direct correlation to the amount of stress imposed upon them. The further forward your head posture, the faster the bone will remodel (degenerate or break down). If your neck has been tech-taxed, there is some good news. Fortunately, good posture can be restored through practice and proper chiropractic care. If you are experiencing symptoms of tech neck, we invite you to contact us today to schedule an appointment. We will be happy to show you some exercises you can do to prevent this modern malady. Another action you can take is disconnecting from technology at different times throughout the day – whenever possible. Give your neck a break it deserves. 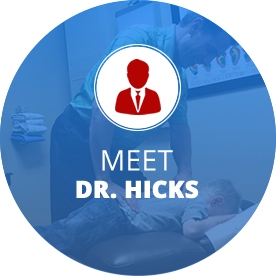 Call Highlands Family Chiropractic Center today!